Summary LAUDA: THE UNTOLD STORY is a documentary about Niki Lauda and motor racing. 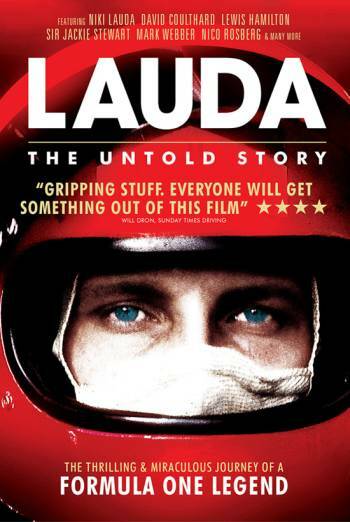 LAUDA: THE UNTOLD STORY is a documentary about Niki Lauda and motor racing. Grainy black and white footage shows a driver, who has blood on his face, being lifted into an ambulance. There is a black and white still image of Lauda on a stretcher with his face covered in bandages. Documentary footage shows race cars crashing and catching fire. There is also some footage of a man on fire. The images are dated and lack detail. Lauda talks about receiving his 'last rites' in hospital and how 'you can either kill yourself or live with it' when you have burn scars.